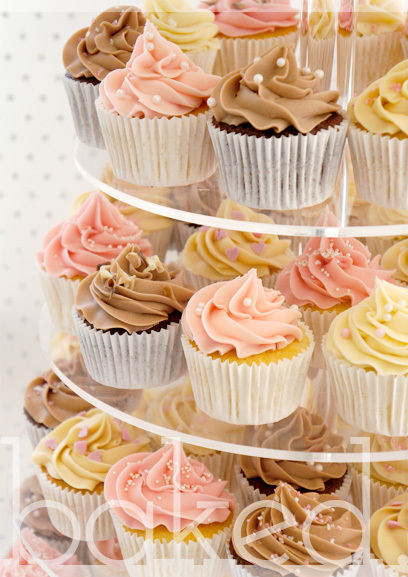 Cupcake towers are a great way to show off your cupcakes. They make impressive centre pieces for parties. 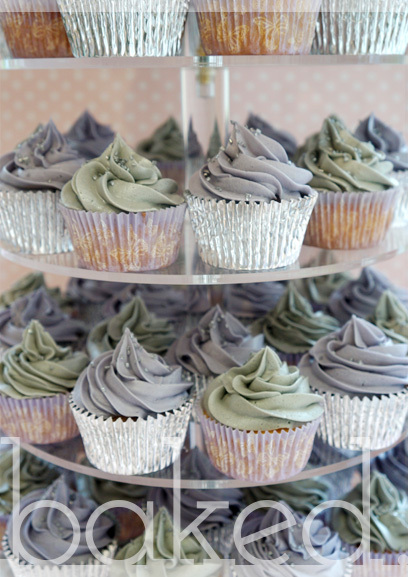 The stands are availbale to hire and are adjustable to accomodate over 100 cupcakes. 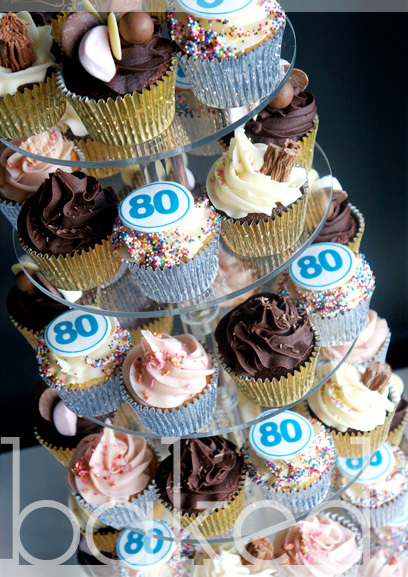 This tower has a mixture of Cupcake 99s and bright flower cupcakes. 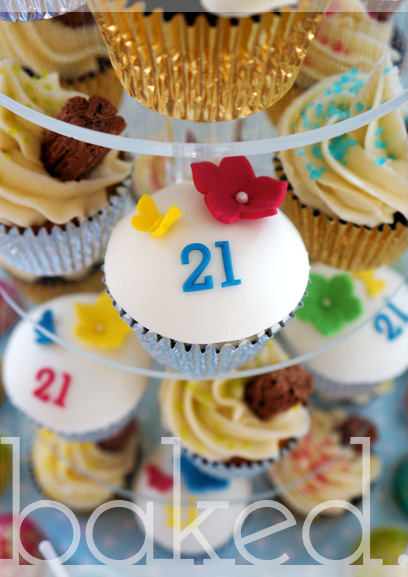 It is topped with a '21' cupcake. 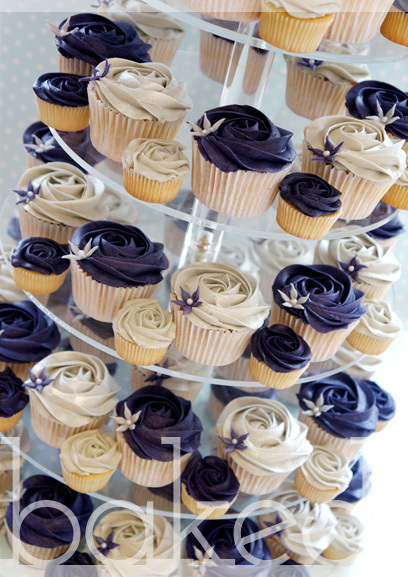 This simple cupcake tower still achieves the wow factor. 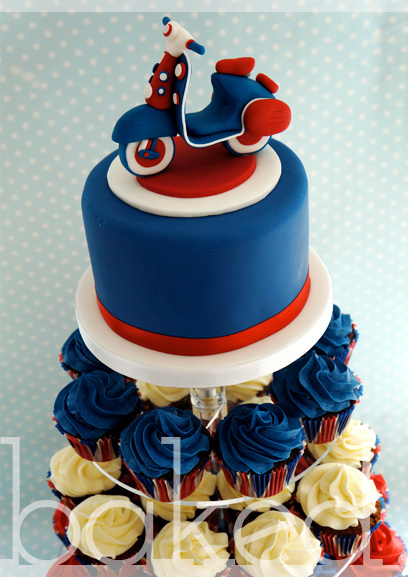 Union Jack Cupcake Tower with a themed 6" cake topper. 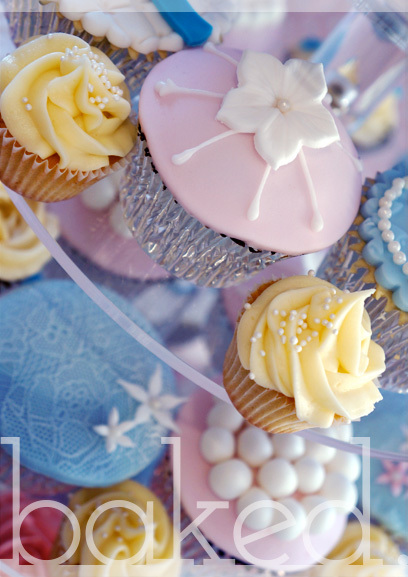 Collection of vintage cupcakes perfect for a wedding or christening. 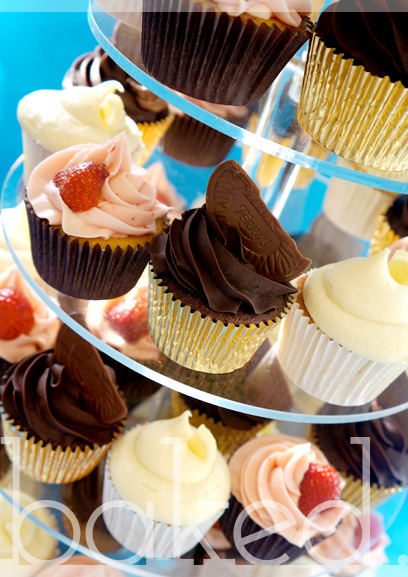 Cupcake tower with strawberry, chocolate and vanilla cupcakes. 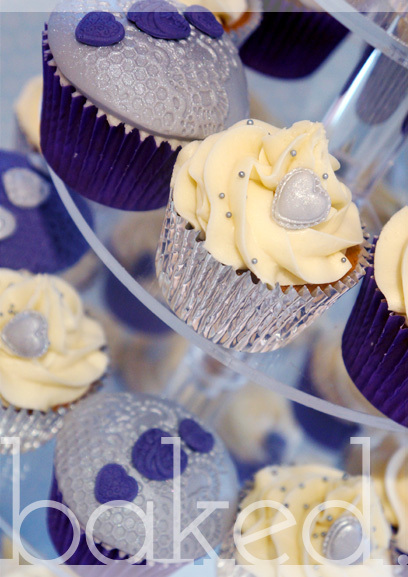 Pretty purple and silver themed cupcake tower with heart decorations. 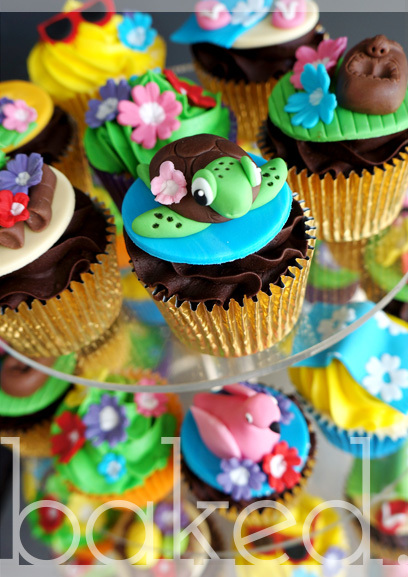 Rose swirl mini and regular sized cupcakes with flower decorations. 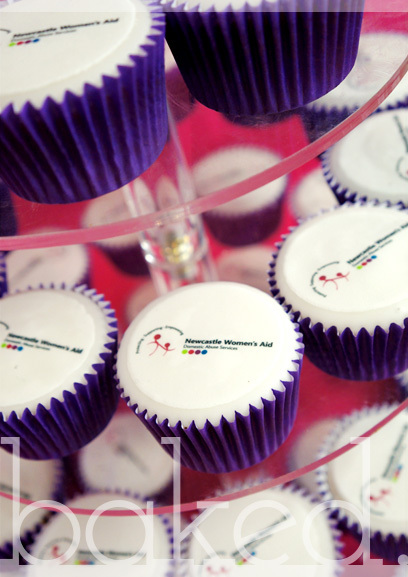 Our cupcakes can be topped with any printed image and are great for corporate events. 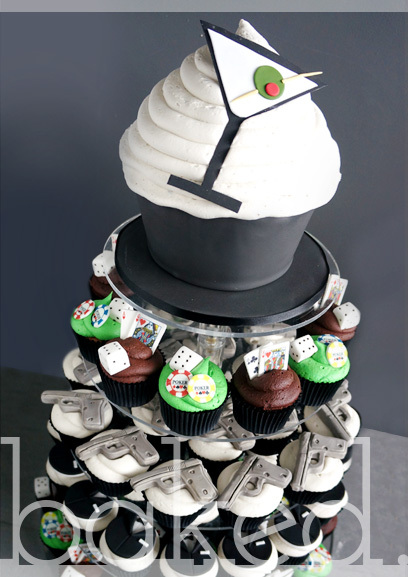 Beach party cupcake tower with special Hawaiian decorations. .
Cupcake tower topped with Martini Giant Cupcake and James Bond themed cupcakes.